Helpful resources to teach ourselves and students about online safety. A quick video that introduces the concept of your own digital reputation by leaving digital footprints. Think before you post, send or blog! "K9 Web Protection is a free Internet filter and parental control software for your home Windows or Mac computer. K9 puts YOU in control of the Internet so you can protect your kids." How safe are you and your child online? A resource page for parents/ teachers to use with the ever changing world of technology. 4 ways for teachers to help students stay safe in the classroom. A short video clip for parents/teachers. Helpful hints to kept students safe online. Tips for parents/teachers about social networking. Detailed reviews about some social networking sites. A video about the dangers of online predators and social media . A video about teens speaking up about online gaming. A resource page for parents and teachers about online gaming. 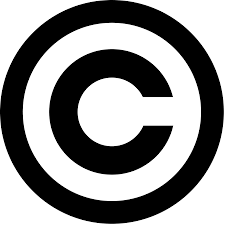 A resource page for EVERYTHING copyright! Someone who bullies others using technology like texting, emails, or posting things on social media sites. ​24/7. Even when you might feel safe someone can send a message to your phone, email, profile, etc. Click on the link to find out what types of cyberbullying are occurring and signs that your child might being bullied. Watch the video to see what real teens are saying about cyberbullying today! A resource page for parents and teachers about sexting.